My Scraproom: Have I lost my mind? Tuesday before going to work I was checking out the CTMH Consultant Message Boards and while I was there I noticed a conversation about “Organizing Your Stamps”. There were tons of comments about the physical storage of stamp sets but then another consultant mentioned about how she organizes her STAMP IMAGES. What? as the place to go to find out how she organizes her stamp images. Well you know me…. of to blog land I go. WOW! I am not going to go into huge detail here because you can check out Patter’s Blog and get the instruction from her better than I can try to explain, but not only is this process fun but I am wondering why I did not think of this? 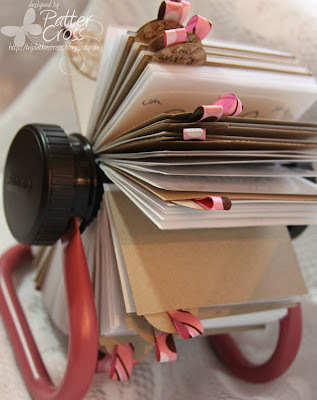 Yes it is labor intensive if you have a ton of stamps like me BUT if you are just starting out then it would be an easy project to start so that you always know what stamps you have and cut down on duplicate purchases. The other advantage : you find stamps you forgot you had. I was thinking I had no “baby” stamps to make cards with but I have a ton of baby images I had forgotten about. Back to stamping images, see you soon.